We have secured a block of rooms for conference attendees at the nearby Lord Elgin Hotel at a special discounted rate of CAD$239/night. Kindly note that to take advantage of this special rate, you must book with the hotel by April 8, after which the block of rooms will be released and availability and this rate will not be guaranteed. For your convenience, the hotel has created a website link that you can use to book your reservation online. Click here to use the direct booking link. Guests may also book rooms via e-mail groups@lordelgin.ca, or call 1-800-267-4298. Make sure to mention “Telfer, Conference on Accounting and Finance” or group code # 190508CAFT when calling or e-mailing. 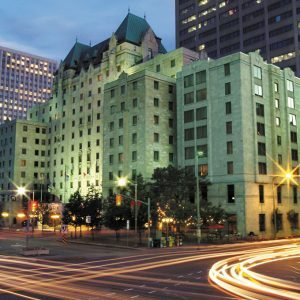 Other hotels that are within walking distance to Telfer include the The Novotel, Fairmont Château Laurier Hotel, The Ottawa Sheraton, and Les Suites Hotel. If you are coming by plane, from Ottawa/Macdonald–Cartier International Airport take a taxi or OC Transpo bus # 97 to The Telfer School of Management located at 55 Laurier Avenue East. If you are driving, directions to the main campus can be found in this link. As Canada’s Capital, Ottawa is a city of impressive landmarks, a wealth of cultural attractions, a beautiful natural setting, all wrapped up in a relaxed urban vibe. Nestled at the junction of three rivers and the UNESCO World Heritage Site Rideau Cana, the city is considered one of the world’s most beautiful capitals. Add to that its clean, green natural setting and the allure of the surrounding wide-open green spaces, parks and wilderness areas and you’ve got a capital combination that attracts millions of visitors every year. Its museums offer creative, ground breaking and world class exhibitions. From its excellent shopping boutiques, intimate sidewalk cafes and exciting nightlife, there is much to discover. Ottawa boasts a hospitality industry well-accustomed to hosting international delegations and diplomats. The professional meetings and conventions community facilities, hotels, attractions and destination management organizations offer everything you would expect to find in a world capital. Ottawa is also one of the most educated cities in one of the most educated countries in the world. The largest university in the area is the University of Ottawa, a bilingual public research university founded in 1848, which now enrolls well over 40,000 students. 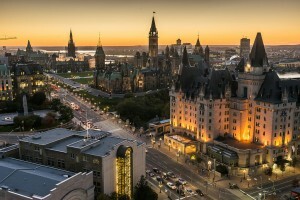 Ottawa is centrally-located in the province of Ontario, with the award-winning Ottawa International Airport offering daily direct connections to over 30 Canadian, U.S. and European Centres. The capital is also serviced by Canada’s train service, VIA Rail, and accessible by a number of major highways. The airport is just a 15-minute shuttle ride from downtown Ottawa, and the city’s downtown is remarkably compact and walkable. The Byward Market, Elgin Street and Sparks Street – all a few minutes from uOttawa – offer a variety of restaurants in terms of price and category beyond those listed. We hope that you will have an opportunity to explore Ottawa! The seat of Canada’s federal government and the setting for national celebrations the year round, Parliament Hill is the most visited Ottawa attraction. Each morning during summer months, the front lawn of Parliament Hill is the setting of the daily Changing the Guard ceremony; each evening the public is invited to gather again to witness the awe-inspiring Sound and Light show – spectacular lighting effects and stunning giant images projected on the Parliament Buildings set to words and music. Both events are free. Truly a must-see! Ottawa cultural attractions, museums and galleries invite visitors to experience the best of Canada all in one place. Whether it’s the stunning National Gallery of Canada, with world class art on display, or the dramatic Canadian War Museum, these are the experiences that bring Canadian culture to life for any visitor. Ottawa is a city of celebrations, offering visitors a year round calendar of parties, festivals and special events. On July 1st, the city celebrates the biggest party in the country, Canada Day. Visitors will also experience a host of music celebrations, including the TD Ottawa Jazz Festival, Ottawa Chamberfest, and Bluesfest, which welcome some of the world’s biggest acts to our city. In winter, Canada celebrates Winterlude, and takes to the ice on the world’s largest skating rink, the Rideau Canal. The culinary scene in Ottawa has come alive in recent years, with a thriving community of Ottawa chefs and Ottawa restaurants making names for themselves both at home and abroad. Ottawa restaurants are wonderfully diverse. In the mood for French, Italian, Chinese or seafood? Choose from scores of each. Craving something a little more unique and exotic? You’ll find it. As one of Ontario’s designated culinary tourism destinations, the city, its restaurants and its local food producers are all working together to bring locally-grown and prepared foods to tables across the region through an initiative called Savour Ottawa. The Capital’s premier performing arts venue, the National Arts Centre, presents a full line-up of music, dance and theatre, plus popular touring acts and shows. Ottawa also has a thriving local theatre scene, including the Great Canadian Theatre Company, Ottawa Little Theatre, and The Gladstone. Ottawa is filled with Capital sights and attractions – and just about as many ways to explore and see them. Experience a tour on both land and water with the Lady Dive amphibious bus, or take in a walking tour across Ottawa’s picturesque ByWard Market courtyards. Unique Ottawa neighbourhoods offer distinctive shopping, dining and nightlife experiences across the Capital. From Little Italy’s charming bars and restaurants, to the glorious new archway over Chinatown, there is plenty to experience in Ottawa’s varied neighbourhoods.